A beautiful friend of mine got married on Saturday. 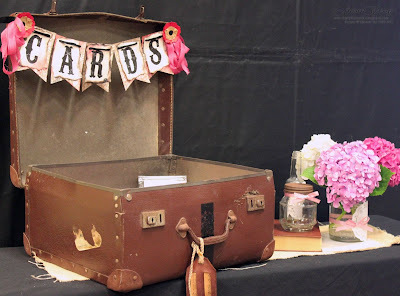 I helped collate her ideas for decorations on a budget - yes most of the credit goes to her for how beautiful the venue became - but thought I'd share one little detail I particularly enjoyed doing. 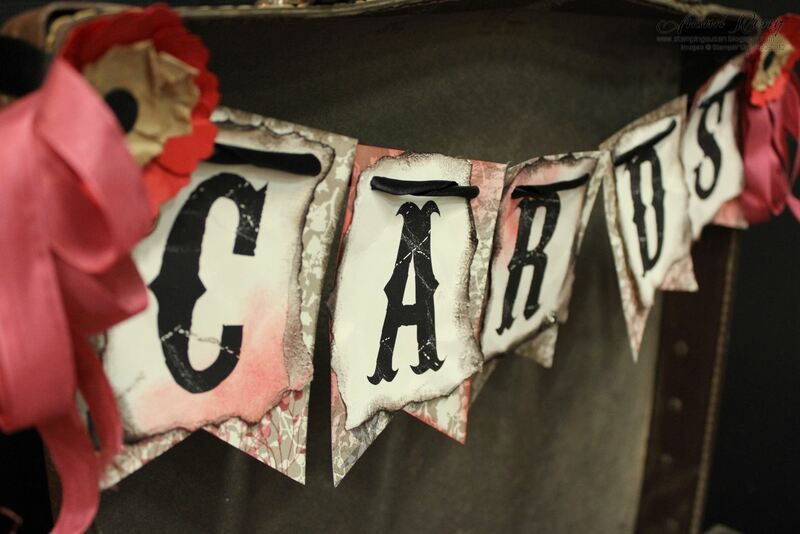 This 'CARDS' banner was based on one the bride had seen and fallen in love with in the shabbyscrap shop on Etsy. Great way to do it if you're moving overseas and don't have room for lots of gifts! The designer papers that form the background are from the Festival of Prints paper stack in the Stampin' Up! Holiday Catalogue. Such a handy size. The letters were printed onto Very Vanilla card and then scrunched, ripped and sponged with ink. Fabulous! Love your knack for decorating!